Hello! I know that posts have been a bit thin on the ground lately, but hopefully not for long as I'm slowly getting over my reading and blogging slumps. But! 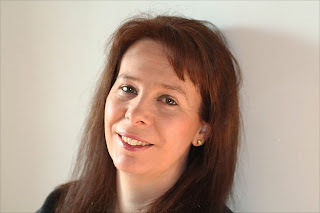 For today, I have the very lovely Helen Grant with this fascinating guest post about getting writerly inspiration from music. 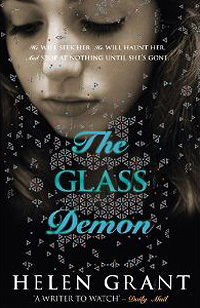 Helen Grant is a British author of four young adult books. 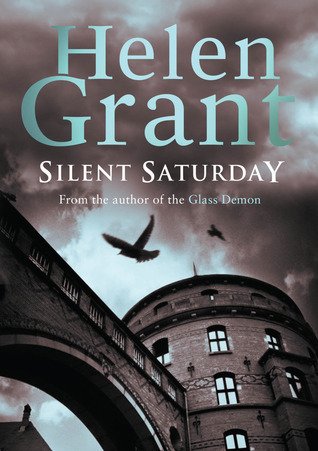 Her latest, Silent Saturday is the first in a trilogy set in Flanders. It is published this month in hardback and it sounds absolutely brilliant. Murder and secret societies? Yeah, I'm intrigued! A huge thank you to Helen Grant for this brilliant guest post today! I am quite often asked whether I have a special place to write (well, sort of – a scruffy back room with vile floral wallpaper inherited from the last owner), a special computer, typewriter or pen (yes – my trusty MacBook Pro) or a special time of day (any time I’m not exhausted). I don’t think, however, that anyone has ever asked me whether I have a particular music I like to work to. I have quite definite ideas about this topic, and I was just about to launch into a post about them when it occurred to me that it might be interesting to ask other authors about it too. After all, maybe my working practices are just weird… Anyway, I put the question to my writer friends on Facebook and Twitter, and this is what I found out. onto that in a minute. Some writers like a very peaceful, unobtrusive kind of music in the background when they are working, “never silence” or “almost never silence.” They may listen to “white noise” or ambient music. Some don’t listen to music but work very well to a background of a coffee shop. If this is your thing, you can save on buying your latte in a real coffee shop by listening to http://coffitivity.com/ which has coffee shop background noises that you can mix with your own music should you so desire (thank you Paul Haine for telling me about this amazing idea!). Personally I fall into the “silence whilst writing” camp so that wouldn’t work for me, but if I were a coffee shop writer it would probably save me a fortune, as I get up to make myself a new hot drink about every 15 minutes when writing! To my utter amazement, some sturdy souls like to write to classical music, film soundtracks, even in one case Bon Jovi (stand up Cat Connor). All I can say to that is, they must have iron powers of concentration compared to mine. A couple of bars of Beethoven’s Fifth or – God forbid – the theme to Casino Royale – and I would be unable to string a sentence together. Ever again, probably. That’s writing, though; brainstorming, planning, thinking and working through plot ideas is a whole different ball game. Even the “dead silence when I’m writing” brigade tend to like listening to music for this. The words “playlist” and “soundtrack” came up again and again in the replies to my question. Many authors have a special playlist for each book they work on. Interestingly, amongst all the writers who replied, one musician also responded. David McCallum says that he reads for inspiration whilst composing music! As for me, I do like silence, or as much of it as I can get, whilst I am actually writing. I don’t think I’m a prima donna about my working conditions - you have to be pretty unfussy after all to put up with the horrible wallpaper in my writing room! – but I do like peace and quiet. Workmen playing Radio 1 at full volume two doors down can pretty much ruin a working morning for me. On the other hand, I do have a “soundtrack” to each of my books. I don’t do anything as structured as sit down and listen to it when I want to work through some knotty plot issue; I just find I associate certain pieces of music with each of my books, and when working on each book I have listened to that music over and over again during my non-writing time, to the point where the rest of the family are fed up with being driven anywhere by me, because I keep playing the same CD in the car! So what music do I like as a background to the Gothic shenanigans and bizarre murders in my books? When I was writing The Glass Demon it was mainly tracks from Bach’s Christmas Oratorio, even though the book has nothing whatsoever to do with Christmas. My two absolutely favourite pieces were Wo ist der neugeborne König der Juden and Nun seid ihr wohl gerochen. Somehow I always imagined the second one of those playing whenever the unfeasibly handsome Father Engels hove into view. It is a very grand and very confident piece of religious music, and seemed to fit him very well, since he is so gorgeous but arrogant. The first of those two pieces I imagined for the scene towards the end of the book where the heroine, Lin, makes a terrible and heart-breaking discovery, but I shan’t give any details because it would be a spoiler! Obviously, both pieces are sung in German, which fits the German location perfectly. I’m currently working on my Forbidden Spaces trilogy set in Flanders, the Dutch-speaking part of Belgium, and my playlist for that is almost entirely composed of tracks by the Flemish band Clouseau. The song that for me best sums up the first book, Silent Saturday, is Ik geef me over. The song is actually about a tempestuous relationship hovering on the brink of breakup, but there is a line, alle wegen leiden naar diezelfde storm, which means, all roads lead to the same storm, and that does sum the book up pretty well: there is a grim inevitability about the fact that the heroine and hero are going to end up confronting the killer. The song is actually a cover of the Robbie Williams’ song Come take me over, but for me the “magic” only works when it’s sung in Dutch. In English the song seems to have nothing to do with the book at all. To a certain extent this might seem logical, since the book is set in Flanders and most of the characters are Dutch-speaking, but there is one scene in the book in which the heroine, Veerle, undertakes a bold piece of outdoor climbing, and my mental soundtrack for that scene is Shut your eyes by Snow Patrol, which is (obviously) in English. One last thought: if anyone ever comes up with the ultimate infallible writing soundtrack, one that will enable anyone, however uninspired, to come up with fabulous plots, it will sell like hotcakes! Do you like to write to particular pieces of music? Oh, I love to write to music. I have two playlists, but one main one, for the piece I'm currently writing and the piece I was working on last year (but temporarily shelved and will be going back to once this piece is done) has six playlists; five for individual characters and one for the piece overall. Really interesting post! I would definitely not be able to write with any music/background noise!